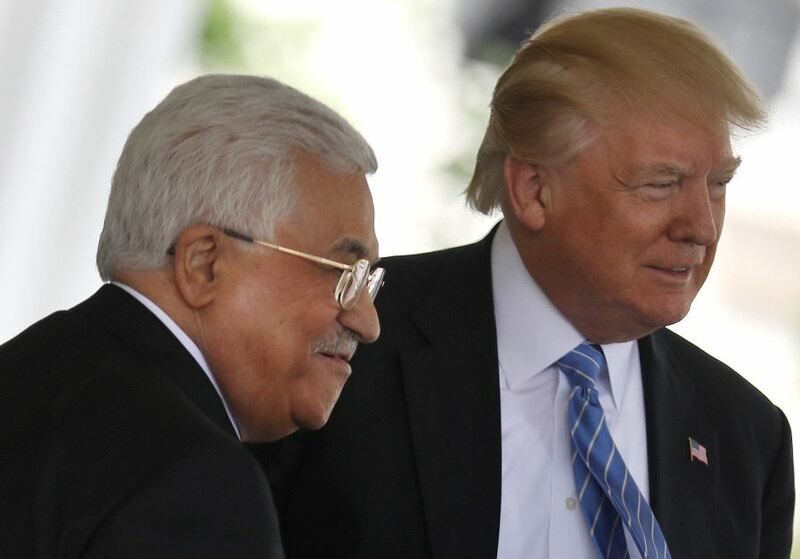 Trump to the Rescue–of the terrorist PLO! The current controversy began when the State Department notified the PLO that, according to U.S. law, it cannot keep its office in Washington so long as it is trying to use the International Criminal Court (ICC) to harass Israel. That law makes perfect sense. If the PLO and its subsidiary, the Palestinian Authority (PA), genuinely want peace with Israel, they can have their office; but if the PLO and PA are still trying to harm Israel, they can go find themselves some other place in which to set up shop. And since PLO-PA leaders have indeed been trying to incite the ICC against Israel, their office should be closed down. Since the PLO-PA is not engaged in either direct or meaningful negotiations with Israel, this should be an open-and-shut case, resulting in the closing of the office. But as soon as the State Department addressed the subject, the pressure bandwagon got rolling. PA leaders started whining and threatening. J Street warned that shutting the office would harm the chances for peace. The media demanded that the Trump administration ignore the law and let the PLO keep its office. What a joke. The PLO-PA considers everything it does to be a contribution to peace. That includes promoting boycotts and sanctions against Israel, comparing Israel to the Nazis, and inciting the Palestinian Arab public to murder Jews and glorify terrorists. It all promotes “peace,” Palestinian-style. Letting the PLO-PA keep its office makes a mockery of what Congress intended when it passed the shutdown law. Obama gave the PA hundreds of millions of dollars each year, no matter how many ways it violated the Oslo Accords. President Donald Trump is doing the same. Obama pressured Israel to stop Jewish construction in most of Judea and Samaria. Trump is doing that, too. Obama refused to take action against the PA’s payments to terrorists. Likewise, when Congress initiated the Taylor Force Act, to reduce U.S. aid because of those PA payments, the Trump administration watered down the bill with loopholes that make it almost meaningless. Obama demanded that Israel permit the creation of a deadly Palestinian state, adjacent to Israel’s major cities and airports. Trump is reportedly preparing a Mideast peace plan that will demand creation of a Palestinian state, too. Now, in a very Obama-like move, Trump is ignoring U.S. law in order to let the PLO-PA keep its office open.